Fenugreek or methi is one of the most common herbs used in Mediterranean cooking. It induces both taste and flavor in the food. But apart from this, the spice has some wonderful medicinal qualities. It has been found that fenugreek can regulate our blood cholesterol levels and help us maintain our cardiovascular health efficiently. The worst thing about high cholesterol is that we do not experience any specific symptom. As a result, it becomes extremely tough for us to take preventive measures to stay healthy. However, including fenugreek in your diet, working out regularly, avoiding smoking and keeping in touch with your physician will help you prevent the issue or lower it successfully. How Does Fenugreek Work For Cholesterol? The coating of the fenugreek seeds contains a polysaccharide component called mucilage, which makes the herb an amazing source of both soluble (21.7%) and insoluble fibers (26.8%). Such high level of fiber plays a key role in increasing the thickness of the processed food substances. In this condition it restricts the absorption of cholesterol in our small intestine. The fiber content of fenugreek is also considered as a food by the pre-biotic gut bacteria. This bacteria discharges certain volatile fatty acids in the bloodstream and hold back the production of cholesterol in the liver. Taking 20 gm to 25 gm fenugreek a day can lower the ‘bad cholesterol’ or low density lipoprotein (LDL) level in our body. The presence of another polysaccharide called steroidal saponin in fenugreek, helps in keeping the blood cholesterol levels under control. When we add the herb to our daily diet, the saponins in it combine with bile salts and create large micelles. These newly formed substances boost the excretion of bile salts to a huge extent. It eventually diminishes the absorption of cholesterol in our body. Fenugreek seeds comprise a ‘plant sterol ester’ called ‘beta-sitosterol’. Even though it is similar to the cholesterol found in our body, we can obtain it only from the plants. According to scientists, beta-sitosterol can successfully reduce the cholesterol level in our body by inhibiting its uptake during food digestion. Therefore, consuming fenugreek is helpful for people with high blood cholesterol level. How To Use Fenugreek For Cholesterol? Taking fenugreek with water is the simplest way to regulate your cholesterol levels. Dry roast some fenugreek seeds. Let them cool down completely. Now, grind them into a smooth and fine powder. Store it in an air-tight jar or bottle. Prepare a mixture by adding 1 teaspoon of this powder to 1 glass of water and drink at least twice daily. 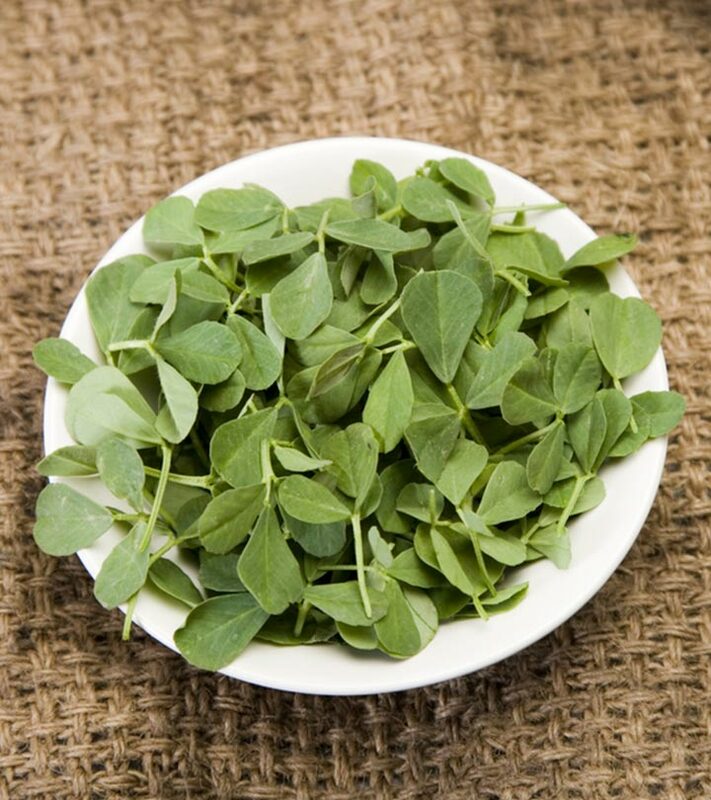 Include fenugreek leaves in your lentil curry or simply put them in your salad preparations. Sprinkle some roasted fenugreek seeds on your regular foods. Toast some fenugreek seeds slightly and put them in your dips, soups and marinades. Soak some normal or sprouted fenugreek seeds overnight in hot water and eat 15-20 minutes prior to consuming each of your meals. Use normal or sprouted fenugreek seeds in your idli or dosa batter for a healthy twist. While preparing roti, chapati, naan, pancake, or anything similar, add some fenugreek powder to the dough mixture. Add freshly ground fenugreek in your curry recipes. Purchase fenugreek supplements available in the market. 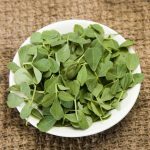 You can get them in tablet, capsule or liquid forms.These are some of the ways in which methi seeds benefits for cholesterol. So, follow the aforementioned ways to maintain the standard levels of blood cholesterol and stay healthy. Do you know of any other natural way to keep cholesterol under control? Share with us in the comments section below.